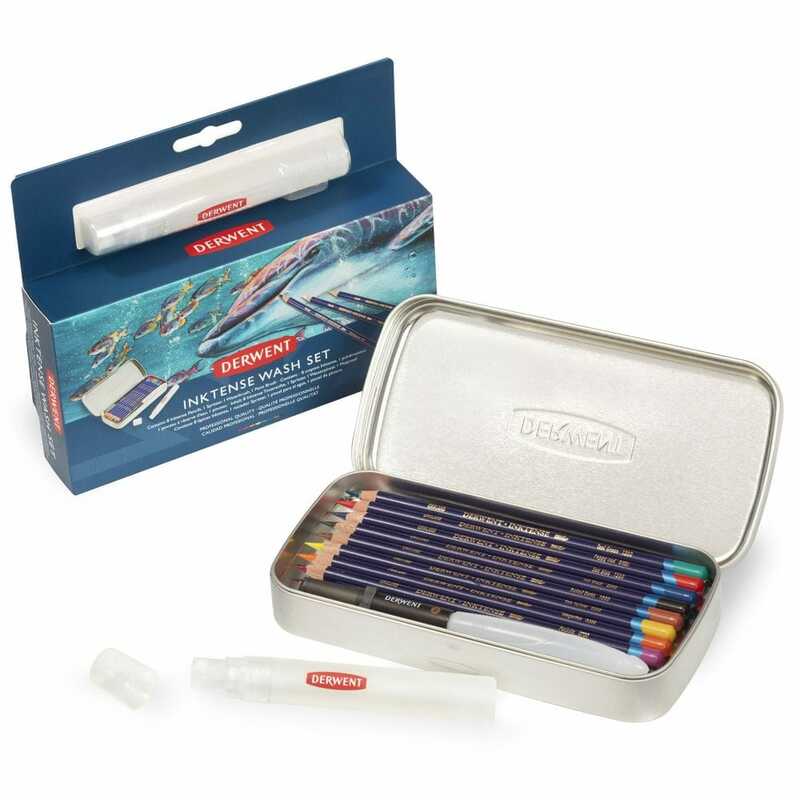 The Derwent Inktense wash set contains everything you need to get started on your painting journey. The unique formulation of Inktense water-soluble pencils produces vibrant, ink-like colour perfect for creating the most outstanding artwork. Unlike traditional watercolour Inktense washes are fixed once dry allowing layers of eye-catching colour to be built up. The set contains: 8 Inktense pencils, spritzer, waterbrush and paint brush.